In addition to the expanding assortment of Swissmar branded products, Swissmar is the exclusive North American partner for internationally known brands such as Börner of Germany, Dalla Piazza of Switzerland and Nuance of Denmark. Swissmar is also the exclusive Canadian partner for Mauviel of France, Zyliss of Switzerland, including their range of Jamie Oliver licensed products and most recently, SCANPAN of Denmark. We have also developed many other partnerships throughout the world to bring you a diverse product assortment. 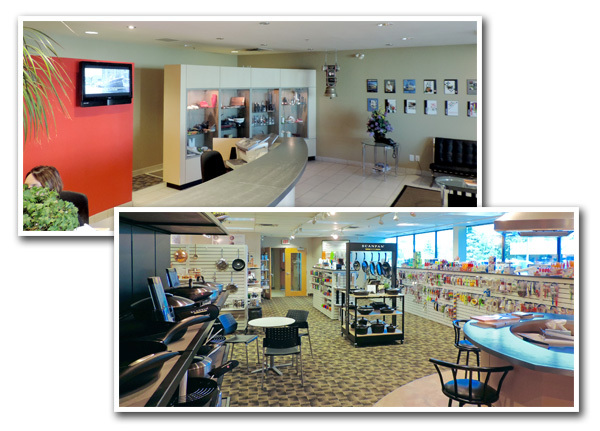 Our corporate headquarters are located Richmond Hill, Ontario which is also home to our Canadian showroom and warehouse. A warehouse in Niagara Falls, NY and two sales offices in the United States - mandate an extensive network of sales reps and showrooms throughout the USA and Canada.